This super determined mummy of 3 has been breastfeeding NON-STOP for more than 10 years now! Read what keeps her going! When she first started breastfeeding her baby in 2007, she didn't think too much of it, and didn't expect a lot of breast milk either. And she certainly didn't expect to be breastfeeding, even in 2017! Yes, that's right. 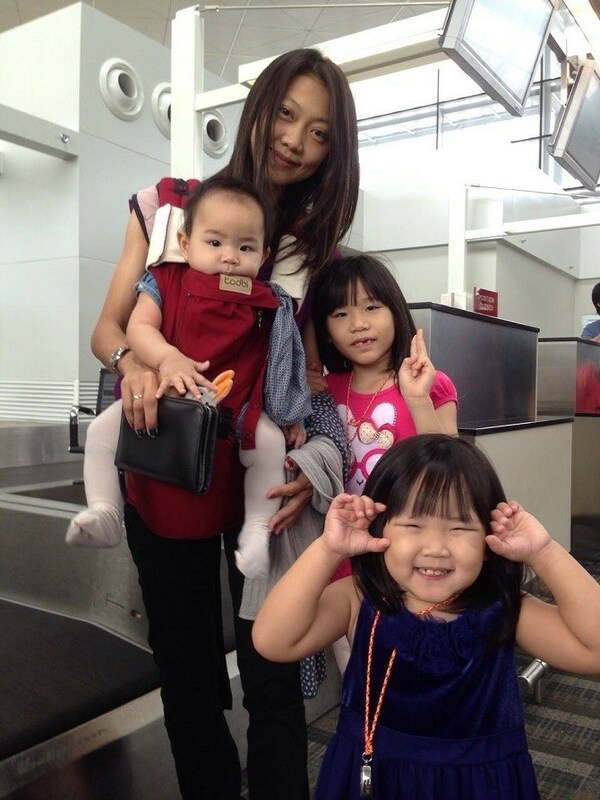 Meet mummy of 3, Anzi Hung, who has been breastfeeding NON-STOP for more than 10 years now! Apparently, her oldest daughter was breastfed until she went to KG2 at the age of 5. The youngest, and second born, continue to be breastfed even now! 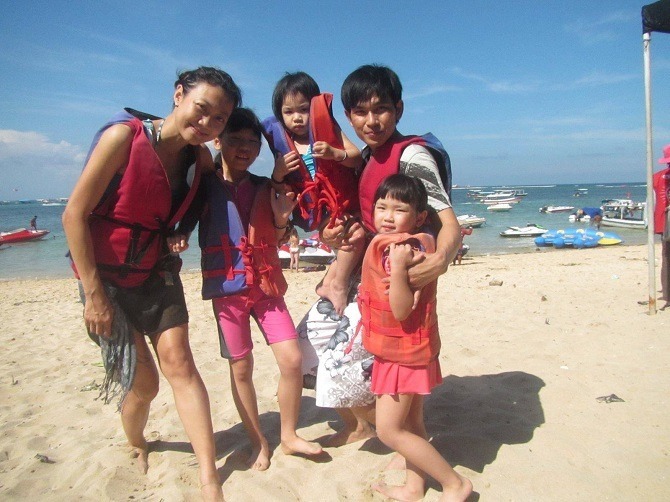 We ask Malaysian mum Anzi, who is married to her childhood sweetheart Liew Chung Yin, and has 3 girls - Liew Vixi ,10, Viqi, 6, and Vini, 3, about her fascinating breastfeeding journey. We are totally amazed by your breastfeeding journey. We wonder though, has it been all smooth sailing? What are some of the difficulties you encountered? Anzi reveals that it has been a lot of hard work and persistence these past 10 years, "When I worked in a factory, I had to sacrifice half of my lunch time and pump in the toilet, and have a quick lunch at the pantry." "My dear husband would pack my lunch early morning at 5 am for me to take to work." "Later, when I worked for a listed company, the break slot was spent in the toilet for pumping during the days we had management training/ meeting." "While working with the headquarters of a franchise company, I needed to pump inside the car/empty store room, when out-stationed for auditing /collecting data." "And when I was working in an MNC without a freezer in the office, my hubby would prepare an ice box full of ice cubes for me to bring to work, to keep the milk fresh for 10 hrs, including the travelling time from home to work." Anzi also tells us that in the early days, she used a simple manual pump, because there were economic constraints, "Only in 2012 did I get my very first electric breast pump to shorten my time spent on pumping." Any health related struggles along the way? Anzi recalls, "The bad experience I remember the most is when I had serious illness in my 2nd pregnancy. I had non-stop bleeding, and there was a big drop in my haemoglobin levels, due to acute haemorrhoid. I also came down with dengue..."
"My gynae asked me if I was crazy to continue breastfeeding and to stop what I was doing, But I stuck on..."
"I had to temporary stop breastfeeding for 2 months though, during my second pregnancy on my gynae's advice that breastfeeding might cause contraction." "Then, I recall those times when some problem caused lower suction of my breast pump on my KL trip, and the the battery wore out on my Singapore trip, all of those issues ended up with breast engorgement, which was very painful for a week." "This year, I saw some blood getting pumped out together with the breast milk occasionally, due to shrinkage of the vein around the breast... I took antibiotics, lowered the pump pressure/session and now everything's back to normal." Don't you feel really tired? Anzi admits, "Of course, I have cried so many times in the middle of the night, when I am awake to do the pumping." "My youngest girl who is now 3+ has been the fussiest...she is the only one who refused to latch directly after 28 days when I got back to work." 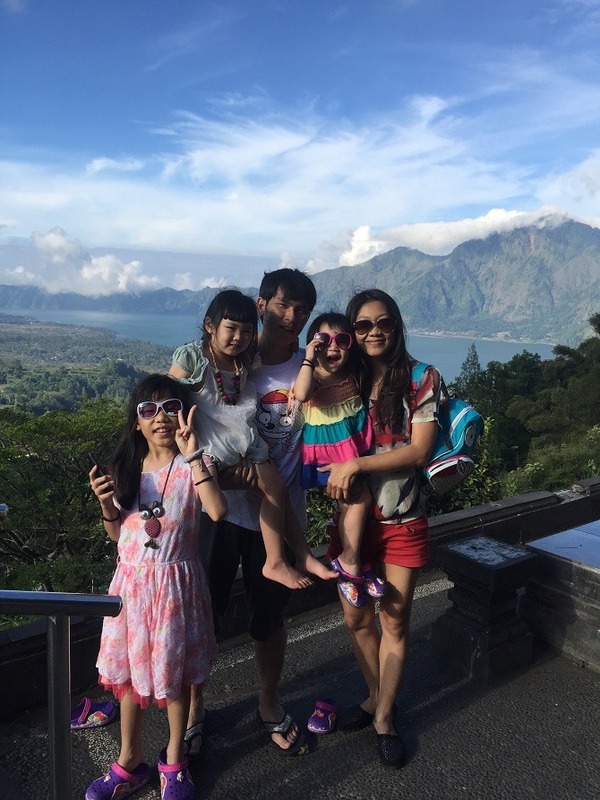 In spite of her breastfeeding schedule, Anzi and her family are avid travellers. She just got back after climbing Mount Kinabalu! She tells us, "I travelled with my girls in these 10 years so I need to pump and store the breast milk for them." "Every time, we needed to bring the pumping cup, pump, cable, power bank, thermos along, wherever we travelled. You can imagine how heavy our backpack would be, for caring for 3 young kids for a trip." "Previously I would feel guilty about not pumping so much during travel, due to the tiredness. These days, I have learnt to reduce my pressure on pumping because the girls have grown up." Has your husband and family always been supportive of your decision to breastfeed for so long? Says Anzi, "My husband is the only who helps me clean my pumping equipment properly after the pumping session." "My mother mixed formula and fed my first girl when I got back to work after 2 month confinement, as she insisted that breast milk had no vitamins." "My father wasn't in favour of me breastfeeding as I look too skinny compared to the rest of the family. My brother never understood why I needed to waste so much time on pumping and thinks it's easier to spend money on formula and just mix it with hot water." "The usual criticism I get to hear from people regarding breastfeeding is, 'breasts go out of shape', 'baby gets too dependant' and especially, 'baby won't get enough vitamins with just breast milk, better to go for powerful powder advertised on TV." What are some benefits that you noticed of breastfeeding...both to your health and to the health of your children? Anzi thinks, "I can see that my girls are less prone to falling sick than their parents, and are able to recover sooner after illness. Breast milk is the only intake they are willing to have even under hospitalisation due to viral infection." "My girls all look so fit, not skinny, not fat, they are fully breastfed kids." "My uterus contracted faster due to the girls' direct latch, which helped me get back to shape easily. I had put on weight up to 78 kg after my first child, and still manage to maintain 48-50 kg even I though I eat a lot." "Surprisingly, my menses came back only 8 yrs after my first child - meaning, I saved a lot of money on buying pads!" Are there any disadvantages to breastfeeding? Anzi opines, "I think, a lot of time gets devoted to pumping if you are unable to directly latch the kids. Also, it is hard to maintain a well balanced lifestyle, both physically and psychologically." Anzi says, "Feed on demand. I personally prefer direct latch wherever possible, as it stimulates more yield. Believe in yourself, you have given your baby the most wonderful and intimate time." "When it comes to supply, the persistence of pumping session really does matter, together with a balanced diet." These stunning pics of a mother breastfeeding her daughters would make you go wow!